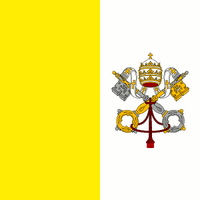 That the Holy See is often treated as a state is deeply troubling, for several reasons. For one thing, the Catholic Church isn't truly a sovereign nation; to allow it to play one on the international stage perverts the meaning of statehood. -- UCLA Law's Kal Raustiala and Lara Stemple, in a Los Angeles Times op-ed that assesses the Holy See (flag at left; prior posts) against standard measures of state sovereignty and finds it sorely lacking -- notwithstanding a Vatican official's claim that Pope Benedict XVI enjoys head-of-state immunity.